Whether we have a lot or a little, money is a big part of our lives. When we have enough of it, it can open up choices for our kids and our families. When we don’t, it can be a huge burden or stress, shutting down options we may otherwise have. This resource was made possible through generous funding by Capital One. The world of money is more complicated than ever. How we deal with it affects how we live now as well as our own—and our kids’—future. Families face many, many challenging questions. These include both everyday issues and big, life-changing choices. It’s easy to get overwhelmed. How do we make ends meet? What do we spend or save? How do we use—or not use—credit? How will we pay for health care? Housing? College? Retirement? These ideas for families to teach kids money management focus on helping you think through your family’s money habits and values, and how these grow in and through your relationships. In the process, you can develop the confidence, skills, and supports you need to dig in to the more complicated financial issues and systems you face. Talking about money—particularly your own money—can be hard for many parents. But kids ask lots of questions. How much do you make? How much is our rent? Are we poor? Are we rich? Why can’t I go to any college I get into? Try these tips to maintain open communication with your kids while also helping them learn how they can responsibly handle money themselves. Find out more. Before launching into an in-depth discussion in response to a question, first ask, “Why do you ask?” It lets you know what’s on your child’s mind so that you can tailor your response to the real question at hand—not something that will just go over their head. Reduce the mystery. So many parts of money are abstract—particularly when more and more money use happens through plastic or an app. Find concrete ways to show how money works. That’s why some families create boxes for allowance, putting coins for portions into different boxes, such as spend, save, and give. Listen to fears or worries. Children sometimes interpret situations as being worse than they really are. When children talk about their fears, you can address them directly—not by saying they’re irrational, but by reassuring them and correcting any misperceptions. Pace what you share. Start with what they can really understand, and build over time. The goal is for them to be ready to manage money on their own when they’re more independent. They don’t have to know it all right now. Choose words carefully. Sometimes it’s easiest to say, “We can’t afford it”—which may be true, but misses a teachable moment. Instead, you might say: “That’s not in our budget,” or “Let’s talk about whether to get that later after we’ve thought about it.” Those responses can help kids learn planning and to delay gratification. They also help think about priorities in your family’s budget. Be clear about what’s private. When kids get older, you may reach the point that they can know how much you make, the value of your home, or other information that some people consider sensitive. By the time they reach the teen years, most kids will be able to keep things confidential if you ask them to. Use teachable moments. Don’t stop with a simple answer to your kids’ questions. Use the opportunity to introduce other ideas or concepts that are important to know. For example, when they ask why you don’t buy the most expensive brands, perhaps you show the whole grocery bill. It teaches about how to read a receipt, and it also shows how expenses can add up. Nothing teaches your kids money management better than introducing them to the ways you track money (without overwhelming them). This can start early and become more complex as they grow. If your child is a preschooler . . .
Make budgets simple and relevant. For example, with preschoolers, talk about a “fun” budget, helping them learn that things like toys, eating out, water parks, and other “fun” stuff takes money. Use coins and cash when you can for saving and spending smaller amounts of money. It’s more concrete so that kids can see it—even if they don’t fully understand it. Give kids each a piggy bank with a slot for coins. (Often children at this age use a bank more as a toy, but that’s okay.) Let them enjoy dropping in coins, taking them out again, and then putting the coins back in. It sets the stage for money being part of everyday life. If your child is school-aged . 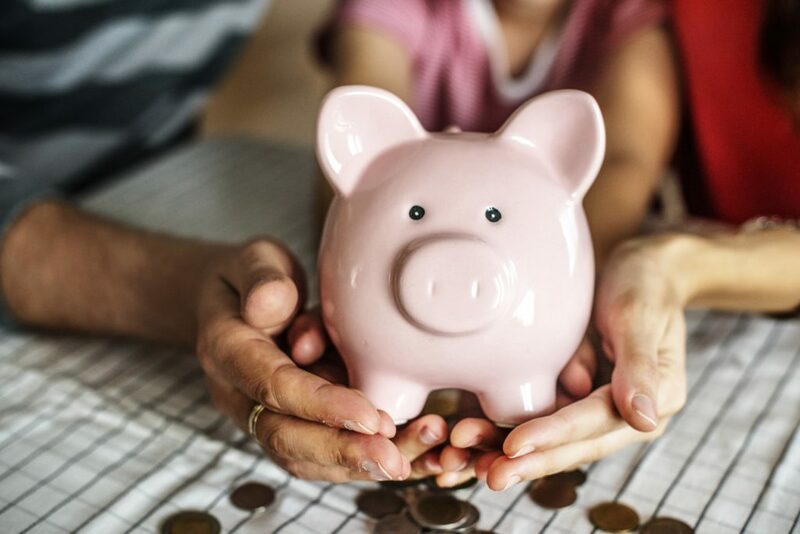 . .
Let kids begin to make some decisions about how they want to spend their own allowance, gift money, or some small part of the family’s budget. It’s a way to share power with them so that they become more responsible. Divide the “fun” budget into a weekly budget. Kids can begin to learn that if you want to do something bigger, you have to skip something fun one week. Then you can have enough for something bigger later. Give kids an allowance, if you’re able. How much you give depends on your income and also how you expect your child to use their allowance. (Some families include school lunches as part of the weekly allowance.) It also can grow as they get older and as they become more responsible with money. Give choices related to money. For example, have kids compare the cost of a summer pass to our local water park with the daily rate cost. Which one makes more sense? Show how a budget works in the real world. For example, when you take children to the grocery store, have them help find things on the shopping list, rather than going to buy things they just want (or impulse purchases). If you have a teen . . . Adapt your budget as their world changes. When children become teenagers, you often need to adjust your budget based on their expenses. (For example, as kids excel in a sport, music, art, or other club, the fees also go up.) Take time to talk about how much things they need (or want) cost and whether there’s a budget for it. Who will pay for what expenses? Encourage your teen to use an online budgeting tool, such as Mint, BudgetTracker, or BudgetSimple to keep track of how much money they have and how they’re spending it. Increasingly turn over responsibility for more expenses to teenagers, helping them build skills and learn from their mistakes (with smaller amounts of money). This might include setting up a budget allowance for clothes or other things you purchased for them when they were younger. Be intentional and consistent about money. For example, start a weekly allowance that provides the same amount of money each time. Be clear about what you will and will not pay for—otherwise kids will think they can ask you to pay for everything. Practice pausing or slowing down spending. For example, if someone gets a gift card or earns cash, try to get them to hold on to it for a while. Help them develop ways to save and to be more intentional about what they spend it on. Avoid spending money as a coping mechanism or stress reliever. When you get upset, go for a walk instead of going shopping. Reduce impulse purchases. Avoid buying what catches your eye when you’re out shopping or surfing online. If something interests you, make a note of it (or save it to your wish list), then decide later if it’s something you need and fits your budget. Create lists before you go shopping. You’ll be less likely to buy other items and more likely to stay within your budget. When you don’t create a list, anything can end up in the cart. If your child is a preschooler . . . Create money boxes for your young child. Make three boxes: one for spending, one for saving, and one for giving. Each week, give your child their allowance in coins that slip easily into each box. For example, if you give your child a dollar, have them put one dime in the savings box, one dime in the giving box, and eight dimes in the spending box. This gives young children concrete experience in dealing with percentages. Teach young children that once money is spent, it’s gone. Talk about advertising and how it influences us to spend money. Some parents teach kids to turn off TV commercials (or put them on mute). Start giving your child an allowance, if you aren’t already. It’s better for kids to get used to receiving money on a regular basis so that they can practice getting money, saving money, giving money, and spending money. Help your child learn how to save. If your child wants something expensive, show how they need to save a certain amount of money each week. Don’t get them in the habit of buying something and then paying you back. Teach your child to save, wait, and then spend when they have enough money. If teens want to earn money, create jobs for them to do around the house, or connect them with a neighbor, grandparent, or other adult who may have small jobs, such as mowing the lawn, washing windows, babysitting, or weeding a garden. Introduce teenagers to adults who have solid financial skills. Ask the adults for tips they’ve learned for managing their money well—and some of the traps to avoid. If teenagers have a part-time job, encourage them to spend only a portion of their earnings. Find ways to help them save and give money to worthy charities. Take a quick quiz to reflect on how you manage money in your family. Use the results to explore new ways to support kids in learning manage money well. Parents Do you already have a Family Quiz Code? Click here. Click here to take the quiz and get a Family Quiz Code to share with your family (optional). Youth* Click here if your family has a Family Quiz Code. Ask a parent to set up a Family Quiz Code. * The quiz is designed for youth ages 10 to 18. What’s the quiz for? This quiz is for your own reflection and discussion as a family. It is not a formal assessment. How does it work? The first adult who takes a quiz is assigned a random number, which we call your Family Quiz Code. They then share that code with everyone else in the family. Each person just enters this Family Quiz Code when they start a quiz, and all your results are automatically combined so you can talk about them together. Why do you need a Family Quiz Code? This anonymous code lets you see the results from everyone in your family combined. Who will see the results? No one else will ever know your responses, unless you share them. The Family Quiz Code cannot be used to find or identify you or your family. When asked to describe her conversations at home about money, one teenager said: “I ask my mom for money for shoes. She says, ‘No.’ End of conversation.” It doesn’t have to be that way. When we get comfortable talking about money with our kids, we can help them learn positive skills and values that can last a lifetime. And by talking about everyday money issues, we’re better prepared to tackle bigger money questions and challenges when they come up. Use these discussion starters about money to explore your family’s priorities, habits, and challenges. Think about recent generations of your family (including grandparents and, if possible, great-grandparents). What stories do you know about how they’ve handled money? What money attitudes have you picked up from them? When you think of how you and your family handle money, what are you most proud of? What are some of the challenges you’re dealing with? How does money make your family life better? How does it make it harder? Who have been some of your best role models when it comes to managing money? What is the best money management tip you’ve ever received? What does it mean to you to be a financially responsible person? Who are some people you consider good role models of financial responsibility? If you could change just one thing about how you or your family manages money, what would you change? In what ways can money become an issue with your kids? How does money help or hurt your relationships with them? What are money topics we’re most comfortable talking about with our kids? What are topics we’re not comfortable talking about? What are you most proud of when it comes to money and your kids? What worries you the most? What are some of the toughest money lessons you’ve struggled to impart to your kids? What made them hard? How have you worked through it—and what are you still struggling with? What are some of the biggest barriers you see in dealing more effectively with money in your family and with your kids? How do you personally deal with money stresses? How do you deal with them together as a family? Are those approaches working (or not) for you? As you think about your kids and their futures, what do you most hope to pass on to them when it comes to managing money? * These parenting adults may include your spouse or partner, extended family members, friends who are parents, or a parent group or class. Money is a sensitive topic in many families. These activities break the ice by giving you concrete ways to talk about your values about money, money stress, and the kinds of questions family members have about money. Clichés about money trigger conversations about your family’s money values. We learn a lot about what’s important to us and to our families by the clichés we use, often without thinking about them. This activity lets you have fun talking about some common money sayings—and what’s really important to your family. Print a copy of the “KC-Money Mantras” sheet for each family member. Have them each pick two sayings they really believe and two they disagree with. Then talk about them together. After you’ve talked about the clichés, pick or brainstorm one or two that reflect your family’s beliefs and values about money. Post these sayings in a place in your home that will remind you of what’s important to your family. If you have more time, talk with a grandparent or older friend or neighbor about the sayings they heard about money when they were growing up. Talk together about whether and how values about money have changed. What has gotten better? What has gotten worse? Identify ways money creates stress for your family—and how you can ease each other’s stress. Parents consistently report that money is the #1 source of stress for their families. Sometimes things beyond our control cause money worries. Sometimes we also make choices that make the situation worse. In either case, family members can support each other as we cope. We can also help each other find ways to reduce the stress—even if we can’t really solve the underlying money problems. Talking helps. Though talking about the stresses may, at first, seem to make it worse, getting it out in the open where you can work on it together can be very helpful in the long term. You not only come up with more ideas to deal with it, but you also do more to support each other as a family through the difficult times. This activity encourages your family to talk about the stresses so you can find new ways to ease the burden when money stress weighs you down. Not making enough money to pay regular bills. How to save for college or retirement. Having a lot of credit card debt. Not being able to buy something you really want. Changes in the stock market or other investments. Applying for or receiving government assistance. Not being able to give money to organizations that are important to us. How to set aside more money for emergencies. Being able to buy birthday or holiday presents you want to give. Whether we’ll be able to pay medical bills. Rising prices for food, gas, or other necessities. Other worries. Have people add other things they worry about and move around based on what they highlight. After each statement, ask each person to explain why they picked where they did. Discuss differences, but don’t try to talk each other out of their choices. Where did people stand most often? What does that tell you about the level of money stress you experience in your family? Do some people experience it more than others? Have people in your family experienced some of these stresses before? What was that like? How did they cope with these stresses? How did the stresses affect them? What are some positive, healthy ways we do or could cope with money stresses? What are ways we make it easier or harder for each other to cope with money stress? How can we help make it a bit easier together? Pick one or two things you can do in your family to reduce the stress family members feel about money. These may include regular check-ins, words of encouragement, or small things everyone will do to support each other. Develop a plan to keep track of money (or budget) so people can all do their part to help. Find specific ways to express care and provide support to each other as you work through challenges. Set specific goals for your money that you can work on together. Sometimes your family may need extra help to deal with serious financial stresses. Consider finding a nonprofit credit counselor. You can often find them through universities, military bases, credit unions, housing authorities, and local branches of the U.S. Cooperative Extension Service. Follow the advice of the Federal Trade Commission to pick one who you can trust and fits what you need. Opening up about family finances can help your kids learn how to navigate an increasingly complex money world. Many parents are reluctant to talk too much about family finances with their kids. There are lots of reasons. They won’t understand. They might reveal private information. They’ll think we have a lot—or very little—money. They’ll just worry more. But there are lots of reasons to share more information with kids, particularly in a time when young adults need to be prepared for a very complex financial system in our world. In addition, if we just cut off or ignore their questions, they learn that talking about money is off limits, which makes it less likely they’ll come to us when they don’t know what to do or encounter difficult situations. This activity helps you begin to get more comfortable talking with kids about money issues in your family. Then you can have open conversations about the topics your kids are curious about in ways that also work for you. Get a stack of index cards or small sheets of paper. Give 8 to 10 to each family member along with a pen or pencil to write with. On each card, have people write one question about the family’s money. Parents may have questions for kids and vice versa. Write the person’s name on top of the card who you’d like to answer the question. When everyone has written down their questions, give them to the people who are supposed to answer each question. Questions to answer right now. Questions to think about before answering. Questions to get someone else to answer. Then go around the family, giving each person a chance to answer one question from the first pile. Continue until everyone has answered the questions they have. Then ask people to share more about what they’re really interested in about the second set of questions (ones to think more about). It’s helpful to know what’s really behind the question before trying to answer it. Set a time for everyone to come back with answers for the second set of questions together. If some questions seem sensitive, decide what you’re comfortable talking about, and explain why you want to keep other information private. Identify other people who could help answer the last set of questions. Create a plan to follow up with them. End by talking about how people felt as they had the conversation. What would make it more comfortable in the future? Lots of websites and other sources offer useful tools and strategies for keeping track of money. But often the challenge is to develop the attitudes and habits we need to follow through on what’s important to us. These family activities help you focus together on your priorities, start small to build good habits, and learn together from the inevitable money mistakes. How Are Your Family’s Money Habits? A big barrier is that we’re not in the habit of keeping track of how we use our money. Even if we use technology to help with a lot of the details, we still need to get in the habit of keeping it current and learning from it. We can all develop new habits or practices about money. We can also help our kids develop these habits, which can help them throughout life. These family activities focus on helping everyone in the family keep track of their money so that the ways you use your money more closely reflect your priorities, goals, and values. Use an online calculator to see how your financial choices affect the lifestyle you can lead. How we use our money can say a lot about what’s important to us. Yet we can’t just use our money in whatever way we want. Depending on where we live and other realities, we face different opportunities and challenges in fitting our needs and priorities with our money. That can lead to important, but difficult, choices. This activity uses an online calculator to stimulate a family conversation about priorities and challenges. It focuses on the kind of income you need for different lifestyles. Do the amounts surprise you? Why or why not? How much do you think you’re on track or off track? What might you want to change? Conclude the conversation by writing down three or four specific changes you want to make in your current lifestyle that can help you get on track to achieve the lifestyle you hope for in the future. This could include areas where you might cut or increase spending. Or it might focus on getting more education or developing new skills for the future. To follow through on these goals, consider the Goals for Growing activities. A Variation If you have a family budget or want to create one, do a similar activity with this family budget calculator, which breaks down your spending into more details. (It also compares your expenses to the average U.S. household.) You can see where adjustments might be possible. Thinking SMALL is a first step for your family (or a teen who needs to learn) to keep better track of money. It’s easy to resolve to completely change how your family deals with money. It’s completely different to actually change how your family deals with money. We’re all more likely to make and keep good habits when we think SMALL. This activity encourages your family to start small to help you all get in the habit of tracking your money. Bring the family together. Brainstorm some of the things that get in the way of tracking how you earn and spend your money. Focus on little routines (like misplacing receipts or bills, or purchasing too much toilet paper because you forgot that you already had some). 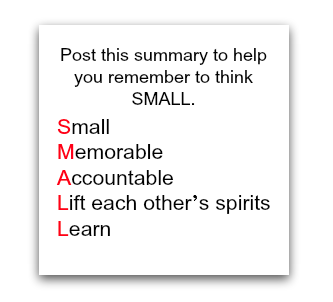 Now use the letters of the word SMALL to help you come up with a “micro” action plan. Small. What is something very small you could do to help you start remembering to do this? If, for example, you have trouble keeping track of receipts, you might set a place in your home where everyone is going to put their receipts. By itself, that action won’t change your budgeting, but it starts to change your patterns. Memorable. What’s something in your everyday life that would help you notice and remember to take this little step? For example, put receipts in a clear bag on the refrigerator door where you see it when you come home after school or work. Accountable. We’re all more likely to follow through when we know someone else will notice if we do or don’t follow through—and ask us how it’s going. Lift each other’s spirits. Celebrate when your family follows through. Even small celebrations (clapping or cheering together) reinforce the habit. Learn. The first things you try may not work. Learn from what doesn’t work, and try something else. Try doing the action together for just one day. If you didn’t get it done, decide what you can do slightly differently to get it done the next day. If you did get it right, celebrate together! Continue trying it each day until you all remember to do it at least five days in a row. Get back together to ask what worked and what didn’t. Then try the process again with another challenge you brainstormed at the beginning. How to work together as a family to build a plan when you’re dealing with money challenges. Things happen. Sometimes someone in the family makes a money mistake that affects everyone. Sometimes events beyond your control (such as losing a job or a car breaking down) blow your budget. Sometimes a lot of little stuff adds up (such as using a credit card) to create an overall money problem that needs to be confronted. This activity brings your family together to talk about what’s happened and how you’ll move forward. It’s useful to try this on small challenges so you learn from them. If You Need Some Extra Help: Sometimes the situation may be beyond what your family can address well on your own. You may want to find a nonprofit credit counselor to help you sort through your options. You can often find them through universities, military bases, credit unions, housing authorities, and local branches of the U.S. Cooperative Extension Service. Follow the advice of the Federal Trade Commission to pick one who you can trust and fits what you need. Get the facts out. Describe what happened in specific, non-blaming ways. Have everyone involved contribute to understanding what happened. Try to reach a shared understanding of the money issue or problem that needs to be dealt with. Analyze what went wrong. Talk about pressures that someone may have faced (such as a pushy salesperson), motivations that were at work, and other factors. Write down the different factors that may have played a role. Sell items you purchased to recover at least some of the costs. Focus on natural consequences with kids. If children make financial mistakes, avoid compounding the issue with discipline or consequences that are unrelated to what they did. For example, if they break or lose someone’s electronic device, the natural consequence would be a payment plan for them to pay for replacement—not grounding them for a week. Brainstorm other options. Sometimes you just have to make the best of a bad situation. What might you do that keeps you focused on your long-term goals while working your way out of a problematic situation? Brainstorm lots of options, then decide together which ones seem the most feasible. Build a plan to make those happen. Avoid emotional “corrections.” Sometimes we feel bad about something that happened, so we spend more money to ease our guilt, make us feel better, or make amends with someone. That usually just makes the situation worse. Find non-monetary ways to deal with the emotions involved. Keeping better track of expenses before they add up beyond what you expected. Waiting for at least 24 hours before making a purchase of more than $10 or $20. Work together to create a specific plan with goals that not only deals with the specific issue, but also helps your family develop better money habits to help in future situations. Finally, decide together how you’re going to support each other and hold each other accountable for this issue in the future. Humorist Will Rogers is said to have quipped: “Too many people spend money they haven’t earned to buy things they don’t want to impress people they don’t like.” These activities focus on why and how we spend in our families. They give you an opportunity to explore your family’s values, practices, and expectations with your kids. In the process, you shape how they think about spending money, both now and later. Sorting out the differences helps your family be more thoughtful about how you spend money. It’s easy to justify spending money on many things by saying we really need them. But when we’re honest, sometimes the things we say we need are really things we want. This activity invites your family to examine the difference between needs and wants based on your situation and priorities. More importantly, it helps you make money choices based on whether a potential purchase is more of a want or a need. Something that’s essential to stay alive. Something you really want because it will make your life better. Now work together to organize the scraps of papers that represent what you’ve bought or used next to either the NEED sheet or the WANT sheet. Some may go in between the two. As family members suggest where different things go, have them explain why: Why would you say that’s a want vs. a need? The goal here is not to decide exactly where everything goes. (There can be different interpretations about what’s a want and what’s a need.) The goal is to begin to understand the reasons family members use to decide whether something is a want or a need. Keep track of the different reasons people bring up. Are you surprised by what ended up as a “want” vs. a “need”? Why or why not? How does the difference between wants and needs affect how we think about spending money on things? If something is a need, you could spend it if you have money in the budget for it. But if it’s a want, you will wait at least two days before buying. Plan a time when you’ll check back in a couple of weeks to see how thinking about needs and wants has affected your spending. Write the check-in time on your family calendar. Imagine that you’ve moved to a different part of the country with a different climate or a different city with a higher cost of living. How does this change whether something is a want or a need? Imagine that your family suddenly became very poor. How does this change whether you see something as a want or a need? Imagine that you suddenly won $1 million. How does that affect your views? Imagine that you were living in a refugee camp. How would your lists of needs and wants shift? By saying what you’re thinking while you shop, you can teach your kids a lot about how to be smart about spending. As adults, there are lots of shopping habits we’ve formed that we don’t even think about much. Though some of those may be bad habits, they can also be good ones—habits we can use to pass along our values and skills for wise shopping. This activity encourages you to talk out loud about what you’re doing while you’re shopping with your kids. It’s a way to have them see the skills you encourage in action. Invite your kids to go shopping with you. But this time, think of it like a museum or other tour where a guide explains what you’re seeing and doing. This time, you’ll talk about everything you’re doing while you shop as a way to talk about how you spend money in your family. Emphasize that kids are encouraged to ask questions and come up with other ideas throughout the shopping excursion. When you’re getting ready to go shopping: Talk out loud about how you prepare to shop smartly, such as making a list and clipping coupons. How you compare prices to find the best value. You might say, for example, “This is not a good value because . . .” rather than just saying, “It’s too expensive,” which might give the impression that you would buy it if you could afford it. Why you might choose something that’s not the cheapest because of other factors, such as quality, durability, or ingredients. How you see advertising influencing (or trying to influence) how you spend. How you make sure what you buy is within your budget. How you deal with impulse purchases. When you’re paying: Talk out loud about how you’re paying for your purchases, such as cash, credit card, check, gift card, or mobile payment (smartphone app). Talk about why you use the payment methods you use. After you’ve finished your shopping, take time to talk through the experience with your kids. Ask what questions or ideas they have. See if they can think of other ways you can be smarter about how you shop or spend money. Have them think about ways they can apply what they learned when they’re shopping on their own. As you do the above activity, add some friendly competition by having your kids watch for ways you could make a smarter money choice while you’re shopping. (The idea is not to make you look bad, but to get them to pay more attention and think critically.) If they catch something that you agree is a better idea, give them a point. When they’ve accumulated 5 or 10 points, give them a reward they would value, such as having you take one of their turns washing the dishes. 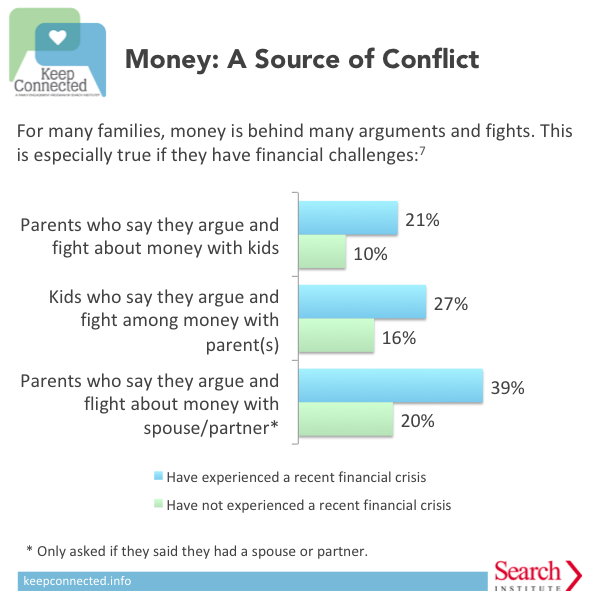 Explore research on how families can help kids manage money—and the challenges they face. Most parents (69 percent) are very or extremely concerned about setting a good financial example for their kids.4 Those themes are consistent with relationship strategies of providing support and sharing power. So addressing money in the home doesn’t have to be “one more thing to do.” It can be part of our everyday relationships and lives. 46 percent of 10- to 15-year-old students said their parents rarely talk to them about the family’s money situation. 77 percent say money causes them to feel somewhat or very stressed. Learning about money and being “smart consumers” can help to ease this stress. It can protect families from dishonest money schemes. Learning how to manage money will not, by itself, change a family’s financial situation.10 Broader social changes are needed to help families break out of poverty. These changes include banks and other systems that improve opportunities for everyone. The challenge is that many of the money issues our kids face are different from when we were growing up. Many of today’s teens . . .
Have a full- or part-time job during the summer or school year (77 percent). Have access to a bank account (75 percent). Have access to a car once they get their driver’s license (69 percent). Have access to an ATM card (53 percent). So parenting adults need to talk about what matters to us. We need to develop skills and habits that work for us—and for our kids—in today’s complex financial world. Most U.S. teens spend some time working for money during the school year. (In a survey of 12th graders, 72% of whites, 57% of African Americans, 59% of Latinx, and 53% of Asian Americans reported working some during the school year.) They spend most of what they earn on stuff they want for themselves, using little of their own money to save for future education or to help their families. How can schools, youth programs, faith-based organizations, and others help families get more comfortable and confident in dealing with money as part of life, and help teach kids money management? Search Institute partnered with Capital One to teach kids’ money management through in-person workshop guides that help parenting adults, children, and teens examine a variety of money topics. Introductory workshops on key topics are provided below, with additional workshops (and Spanish-language versions) available in the archived Bank It website. Although these workshops were created several years ago (so some information is dated), the basic strategies and approach remain relevant and valuable to families. 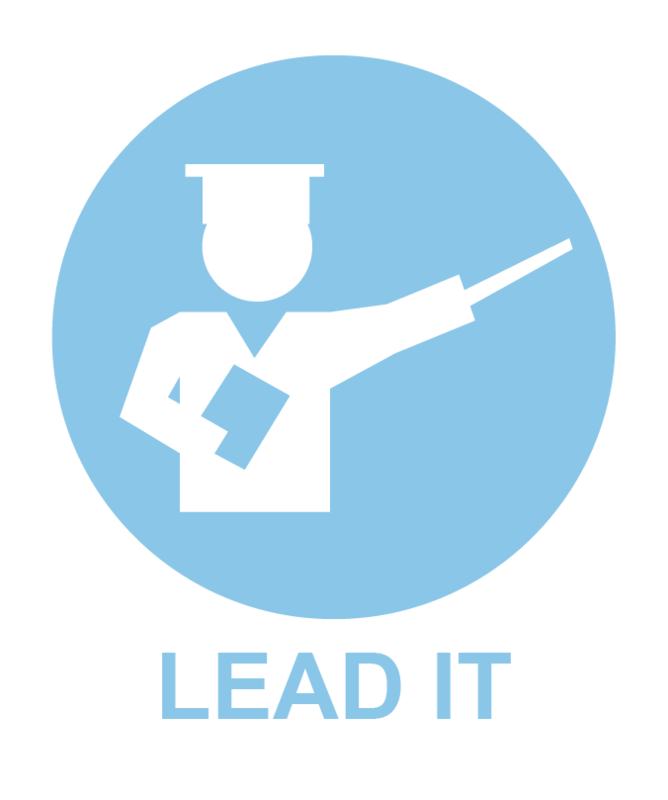 Update and adapt them to fit the children, youth, and families you serve in your own organization and community. 360 Degrees of Financial Literacy: Offers quizzes and guidance on a wide range of topics for people in all stages of life. Created by the American Institute of CPAs. Practical Money Skills: Created by Visa, this site offers guidance, quizzes, and games on a wide range of financial topics for people of all ages. Offers specific guidance on life events from going to college to retirement. Smart About Money: Free online courses, calculators, and quizzes on a wide range of financial topics from the National Endowment for Financial Education. MyMoney.gov: Financial information and tools from more than 20 U.S. federal agencies. Consumer Financial Protection Bureau: Information, activities, and tools to help parents build money skills with their kids. Jump$tart Coalition for Personal Financial Literacy. (2008). 2008 personal financial survey of high school seniors. Washington, DC: Author. Lusardi, A., Mitchell, O.S., & Curto, V. (2009). Financial literacy among the young: Evidence and implications for consumer policy. Philadelphia, PA: Pension Research Council. Clarke, M. C., Heaton, M. B., Israelsen, C. L., & Eggertt, D. L. (2005). The acquisition of family financial roles and responsibilities. Family and Consumer Sciences Research Journal, 33(4), 321‒340. Roehlkepartain, E. C. (2012). Speaking of money: Equipping youth and families to navigate finances in their everyday lives. Search Institute Insights & Evidence, 6(1), 1‒12. American Psychological Association. (2015). Stress in America: Paying with our health. Washington, DC: Author. Translations may not be accurate.